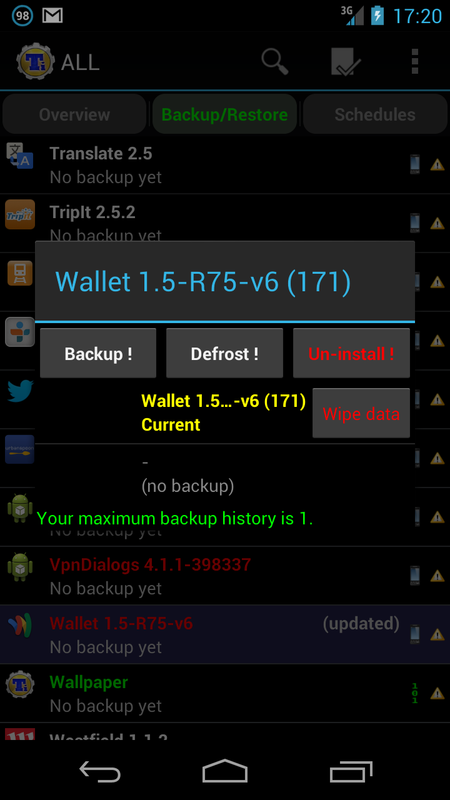 First off, some requisites; your device will need to be rooted. 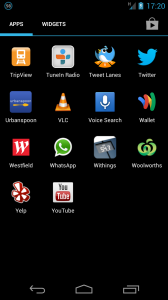 You’ll also need to be running at least Android 4.0 Ice Cream Sandwich. 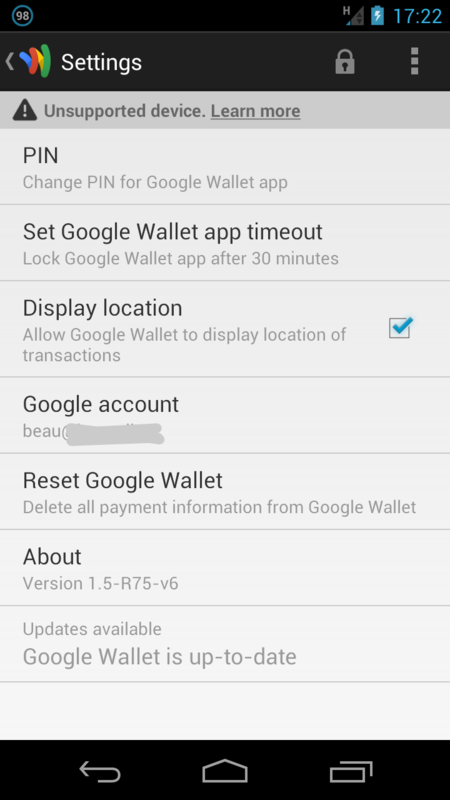 Depending on the ROM you have on your device, you may already have Google Wallet installed, but ‘frozen’. 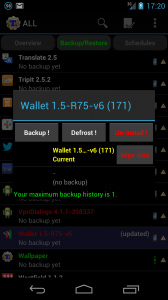 The ROM from ‘bigxie‘ that I am running on my Galaxy Nexus already had Wallet installed. You’ll also need to install MarketEnabler so Google thinks we’re in the US. 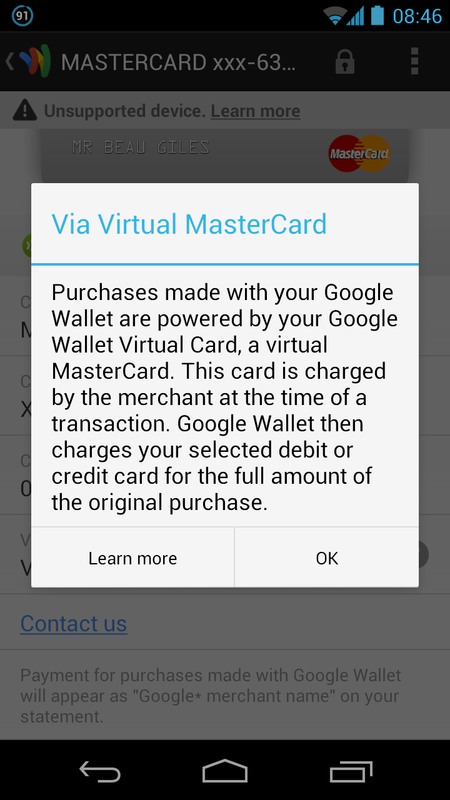 If your device doesn’t have Google Wallet installed, you can either use MarketEnabler to make Google Play think you’re in the US, or install a patched version of Wallet, such as the one from Modaco (this should work if Google doesn’t support your device, even if it has NFC). 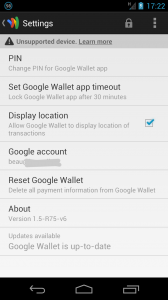 The Modaco patched APK also removes the ‘Unsupported device’ warning – Google does not claim responsibility when Wallet is run on a rooted device, as technically it’s possible to access the data from Wallet. The first time you open up Google Wallet, you’ll get a free prepaid card preloaded with $10US credit for free. 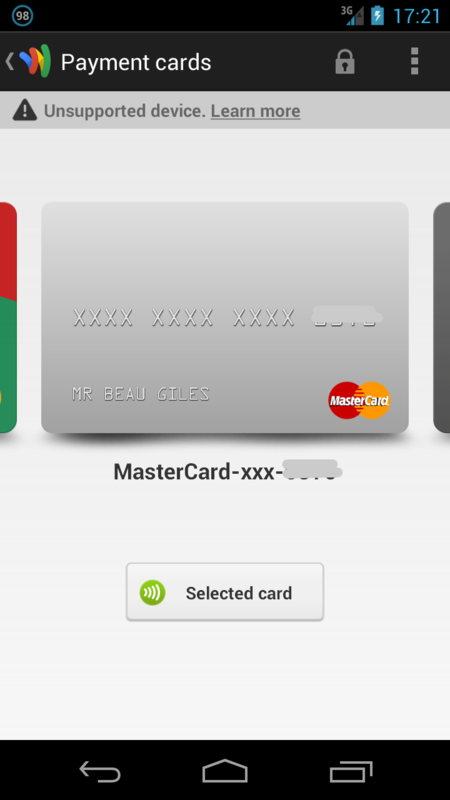 Just tap ‘select card’ under the card and it’ll install the card into your device for use via NFC. However, this is where it gets harder to use outside of the US. 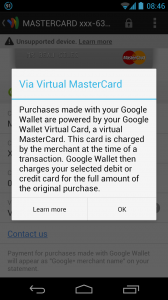 While you can reload the prepaid card, an american Visa or MasterCard is required. 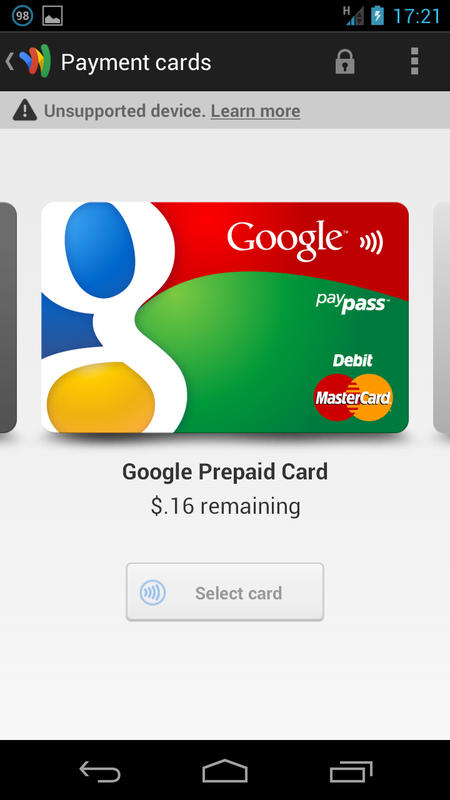 And unfortunately not all cards are supported (including prepaid cards). 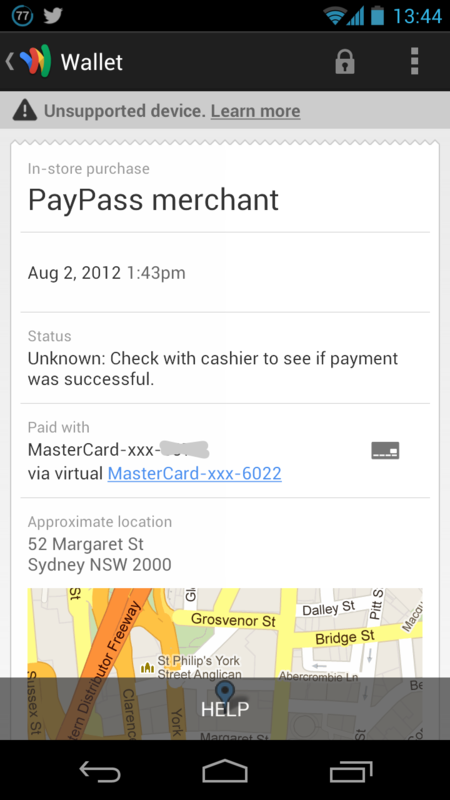 Google uses AVS to check that the card is indeed issued in the US, and if it fails this check, you can’t reload from that card. Thanks to Paul at Modaco, the only prepaid issuer that supports AVS is BFPS which is unfortunately quite expensive to keep using. For example, a $25USD card will set you back almost double, at $42 each. But it is an option that works. 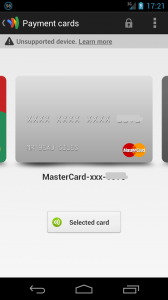 With the most recent update, Google have added the option to add ‘any’ credit card, however this is also of no use to those outside of the US – any attempt will fail (again, due to the AVS on the card), even if the card appears in the app, no transactions will go through. Now we’ve covered the funds, now I’ll talk about how to spend it! 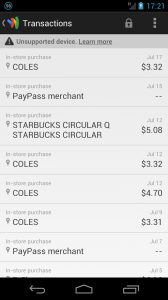 In theory, it should appear just like any normal PayPass card. However, due to being issued by an overseas bank, not all merchants will necessary accept it. 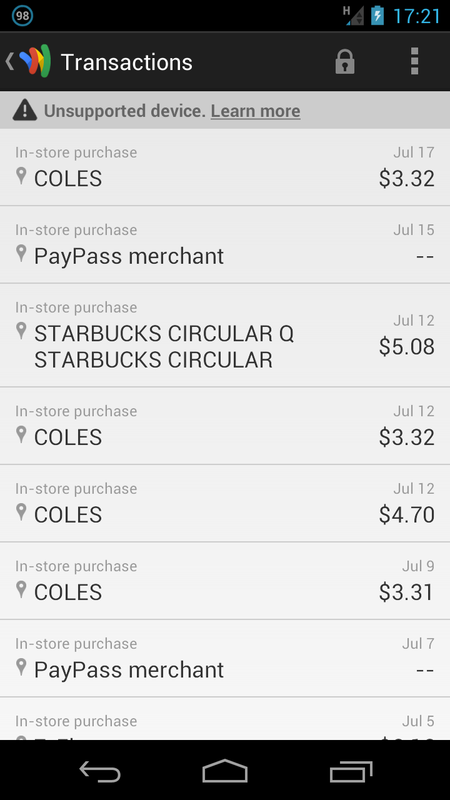 Using Google Wallet at a variety of merchants in Australia, I can say that the only case where it works ‘properly’ is Coles. 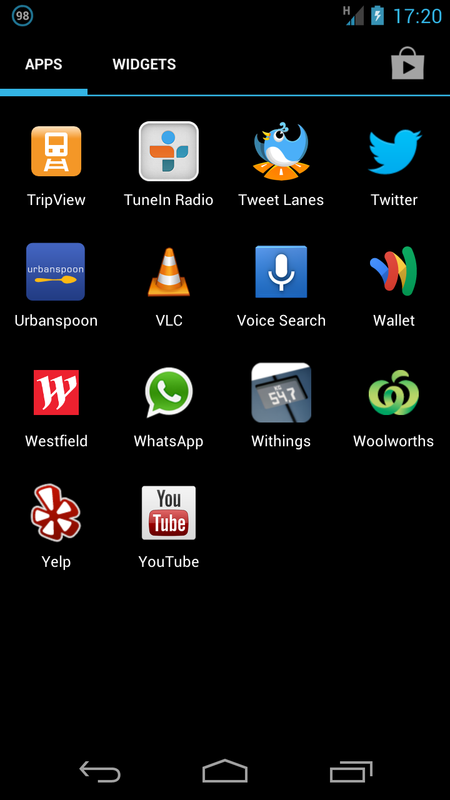 Just wave your phone over the terminal when it’s time to pay, and it just works. At McDonalds, and JB HiFi, I was simply given a ‘please try again’ by the terminal. At this point, unfortunately I had run out of funds to continue my fun of seeing where else it worked. 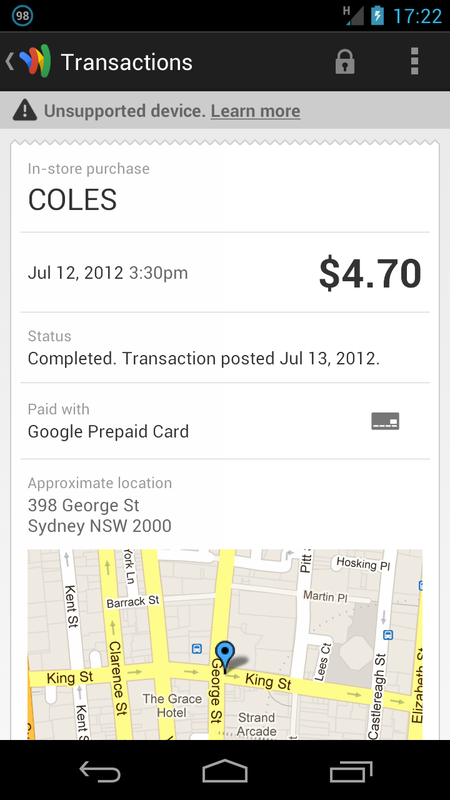 In summary, Google Wallet is still incredibly cool and it’s not hard to see this is the future. 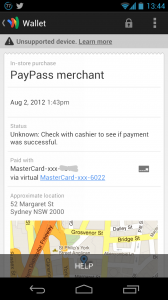 Unfortunately, it’s being held back by a lack of adoption and support from banks, carriers and device manufacturers. 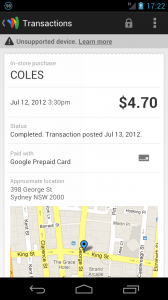 Hopefully we’ll see more innovation on this soon, and hopefully more support closer to home here in Australia.